If you have a taste for sweets, you have at least one thing in common with mosquitoes. While too much sugar is unhealthy for humans, a new product makes sweets deadly to mosquitoes. At a presentation at the 254th meeting of the American Chemical Society, in Washington DC, researchers offered up a new option for managing mosquito populations by catering to their desire for sweet nectar. With funding support from the federal government, ISCA Technologies created a scent chemical so powerful that mosquitoes pass up blood to get a taste. While a chocolate bar or fistful of candy may be what it takes to get you moving, the work to attract a mosquito involves processes developed for Big Agriculture and understanding of what is needed to find mosquitoes a sweet spot to die for. Around the world, mosquitoes are a primary vector, or carrier, of dangerous and deadly disease. Malaria, West Nile virus, Dengue fever, and Yellow Fever are just some of the well-known diseases that cause millions of deaths each year. In addition to work on vaccines and treatment for these diseases, scientists look at ways to control the numbers of mosquitoes in your backyard, or in homes in Tanzania. The most common method used to control the spread of mosquito-borne disease to humans is the application of insecticides by fogging large areas of land, often from an airplane or on-the-ground industrial spraying. A big problem with fogging or aerial application of insecticides is the widespread disbursement of environmental toxins that sicken and kill more than the mosquitoes. Humans, birds, fish, bees, and other beneficial insects fall victim to the untargeted application of dangerous, deadly chemicals. Like broad-spectrum antibiotics, many of the insecticides used on mosquitoes affect anything unfortunate enough to be inside the spray path at the time of application. Although marketed as breaking down quickly in the environment, insecticidal residue makes its way into the soil, food, and water supply. Persistence of insecticides in the environment also contributes to pesticide resistance, reducing the impact of the insecticides and sometimes requiring additional applications to reduce area mosquito populations. To combat mosquitoes and reduce the environmental damage and pollution, researchers took advantage of the mosquito's need for sugar. While female mosquitoes must have a blood meal to lay eggs and reproduce successfully, both males and females need to ingest sugar from nectar sources to survive. Scientists at ISCA Technologies estimate female mosquitoes that carry disease need about ten nectar meals before their blood meal. After identifying and collecting nectar sources, the research team used gas chromatography-electroantennographic detection to determine which nectar sugars are attractive to mosquitoes. This specialized technology lets researchers quickly identify compounds that stimulate (attract or repel) the sensory organs of insects, in this case, the antennae of mosquitoes. Putting it all together, the scientists created a potion called Vectrax™, applied as a spray or a gel, that contains both attractant sugars and deadly insecticide. Because the company develops chemicals for Big Agriculture too, existing production processes are scaled down to create a cost-effective product that battles disease-carrying mosquitoes. The team tested the formulation in approximately 1,000 homes in eight villages in Tanzania where mosquito density is intense. Scientists note 93% of the population of the country is at risk for infection with malaria. These homes are slatted (without screening) to promote ventilation, letting mosquitoes fly in. Commonly small, an entire family usually shares the sleeping quarters in a Tanzanian home. Researchers found on average; the room is also shared at night by about 300 mosquitoes out for blood. Instead of aerial or widespread application, the sweet compound is placed on walls, eaves, or sills, as a gel or a spray. This spot treatment dramatically reduces the amount of insecticide needed or applied. In a press conference, researcher Agenor Mafra-Neto reported, about a barrel of the mixture can to treat a whole village, while aerial spraying of the landscape would require the volume of a tanker truck. The blend of chemicals that we use to attract mosquitoes is so powerful that they will ignore natural plant odors and attractants in order to get to our formulation. From a mosquito's point of view, it's like having an irresistible chocolate shop on every corner. The product is so seductive that they will feed on it almost exclusively, even when it contains lethal doses of insecticide. The product is applied in amounts of one to five-millimeter dollops on vegetation, building exteriors, or outside buildings. This targeted application draws mosquitoes away from humans, reduces collateral environmental damage, and effectively reduces mosquito numbers. Researchers found that mosquito populations in treated areas were two-thirds lower than untreated areas over a time span of about two weeks. During his press remarks, Mafra-Neto related that he had recently gone for a run while in Long Island, New York. During his run, he picked up five ticks. "I truly hate mosquitoes and ticks," he said, remembering the incident. "Imagine: Maybe one day we will be able to go into our backyards or parks and not have to worry about being bothered by either of them." Mafra-Neto noted their team has developed a different formula called SPLAT TK to target ticks. It would work the same way as the mosquito product. Dollops on local vegetation and within tick habitats would attract and kill ticks in the nymph stage, thereby disrupting their life cycle and knocking down local populations. The research team has reported significant success in its small field trials to date. "We are still in the [developing] the SPLAT TK solution," Mafra-Neto told Invisiverse. "We hope that by early next year we will be conducting large field trials that should advance our understanding of how well SPLAT TK performs in large [areas and] backyard situations." Before formulating the product, researchers tested the potion on certain beneficial insects, like bees. Researchers concocted the product to contain repellents for specific insects, and even children and dogs, that would otherwise be attracted to the sweet odor. The formula steers clear of aromas that could attract bees and includes a mix of 20 chemical signals identified as attracting mosquitoes. The insecticides in the mix are spinosad or pyrethroids, neither of which are as toxic as the more commonly used organophosphate insecticides. Mafra-Neto also noted that this product's impact on bioaccumulation in the environment is far less than of the blanket application of insecticides. One way that bio accumulation occurs is when mosquitoes ingest poison and are then eaten by spiders, which are then eaten by birds, and up the food chain, leading to high levels of dangerous chemicals in higher animals. 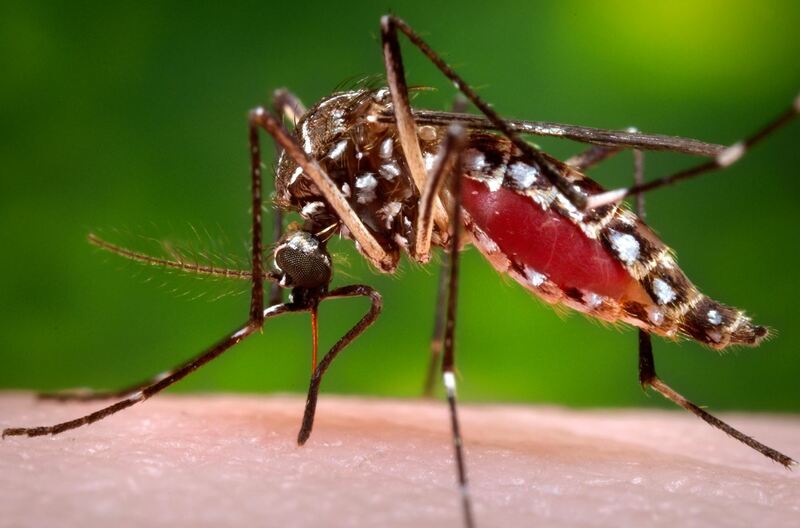 Discussing a mosquito that carries malaria, Mafra-Neto said, "if the trend continues like this, we expect that the Anopheles malaria mosquito population will soon be collapsing down to nearly zero in the treated villages." While the result will lead to reduced disease transmission, it also removes an integral local food source for insect and other predators that rely on mosquitoes as food. Still, the hope is to impact mosquitoes near villages and dwellings, not the wholesale eradication of all insects in the path of an indiscriminate aerial insecticide. The Vectrax™ product could be a low-cost, low impact option down the line for agencies and homeowners. And for those with a sweet tooth? Too much sugar isn't healthy for humans either, but you don't usually have to worry that your next candy bar will be your last.